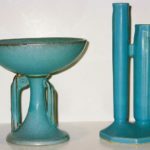 Visitors saw some great American & European Art Deco & “Modern Style” pottery, dinnerware & porcelain, including the uniquely American “Streamline” style. 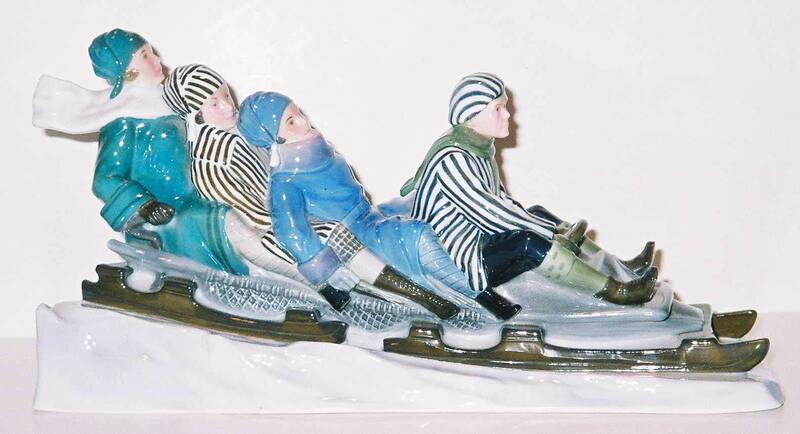 Other decorative items including furniture, metal, lighting, & textiles will also be on view. 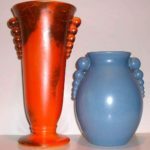 Buyers found our 50+ dealers to be selling a range of Art Deco & Streamline pottery & dinnerware, as well as other styles including Arts & Crafts, Mid-Century modern, & Art Nouveau, from companies such as Rookwood, McCoy, Weller, Fulper, Red Wing, & many more. 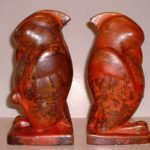 The Arts and Crafts Movement began in mid-19th century Great Britain as a revolt against the worst of the Industrial Revolution. Intellectual founders John Ruskin (1819-1900) believed that machines and industrial production degraded workers by robbing craftsmen of their skills. One result was mass produced, cheaply made goods, lacking in beauty and distinction; a second was a general debasement of society as workers lost pride in their livelihoods. William Morris (1834-1896) a designer, novelist, publisher and social reformer, is widely regarded as the father of the British Arts and Crafts Movement. He adopted Ruskin’s ideas, and those of the Pre-Raphaelite Brotherhood, a group of artists who had abandoned post-renaissance “scientific” art in favor of a return to the form and spirit of medieval art. Morris’s love for Gothic architecture, ancient languages and folklore fit perfectly with these ideals. The firm designed and made furniture, wallpaper, murals, tiles, carpets, tapestries, stained glass windows, metalwork, and embroidery for homes, churches and public spaces including the Dining Room in the Victoria and Albert Museum in 1867. Morris loved nature and was the first European in centuries to incorporate very complex patterns of leaves, flowers and birds into textiles and wallpaper. Furniture designed by his firm rejected the ornamentation of the Eastlake, and was built in an angular, Gothic style, that later influenced Americans Elbert Hubbard and Gustav Stickley. Morris’s stained glass windows were installed in churches throughout England, and eventually became an inspiration for Tiffany. The British Arts and Crafts Movement quickly took hold throughout Europe and in North America. 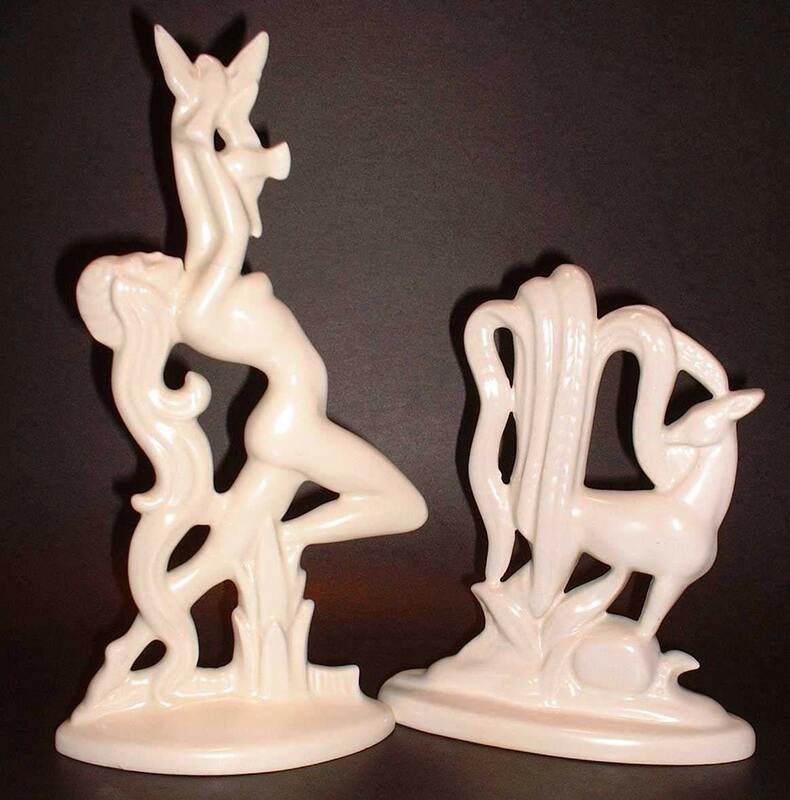 Each country expressed its unique values with a different style; La Art Nouveau in France and Belgium emphasized curvature in architecture, furniture and decoration; the Secession Movement in Austria and Jugendstil in Germany also rejected staid 19th century patterns and ornate decoration to rework ancient and foreign influences into new forms and viewpoints. In the United States, the British influence was felt in the 1870s, when Morris’s wallpaper, fabric, and carpets were being sold in Boston and other large cities. Oscar Wilde’s 1882 lecture tour of American cities was used by the author to extol the virtues of Morris and his philosophy, as well as Japanese arts and crafts, which had been studied and appreciated in Europe since the 1860s, and which was just then coming into vogue in America. 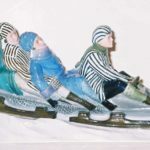 Japanese art and crafts, particularly the simpler ones such as color woodblock prints, utilitarian ceramics, and textiles had a deep influence on European art and design. In particular, its use of natural subjects such as birds and insects on fabrics, the sinuous curved lines and flat decorative spaces in prints, and a philosophy of beauty in simplicity, deeply influenced the Arts and Crafts and French Art Nouveau, as well as Western art generally. By 1900, the United States had developed a mature and uniquely American expression of Arts and Crafts, but one which varied somewhat by region. 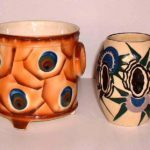 In the southwest and California, the style adopted and integrated Native American pottery, baskets and rugs with the architecture and furniture of the Spanish Mission era, giving rise to the term “Mission Style” which is now synonymous with American Arts and Crafts. 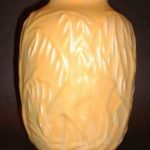 Pottery was an important crucial decorative element of these homes, and during the preceding 25 years, pottery styles were rapidly evolving. 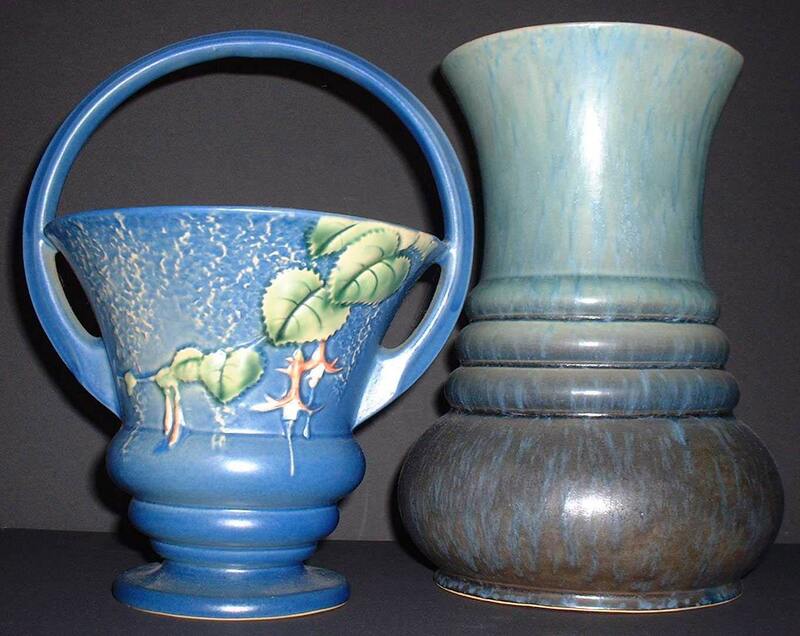 The American Art Pottery Movement began after French Haviland ware, shown at the Centennial Exhibition of 1876, inspired American china painters to experiment with underglaze painting. 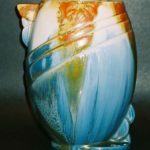 Widely popular for the next quarter-century, Rookwood’s “standard” glaze and its many imitators treated the pot as an earthen-ware canvass on which to display realistic paintings of flowers, landscapes, and people. But this model changed with the growing Arts and Crafts movement. 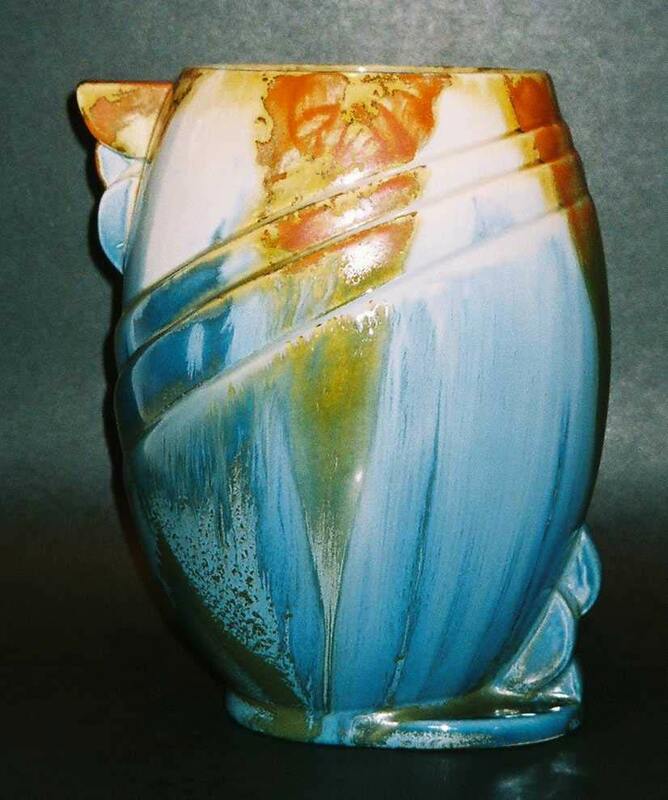 William H. Grueby created the prototype for American Arts and Crafts Pottery. 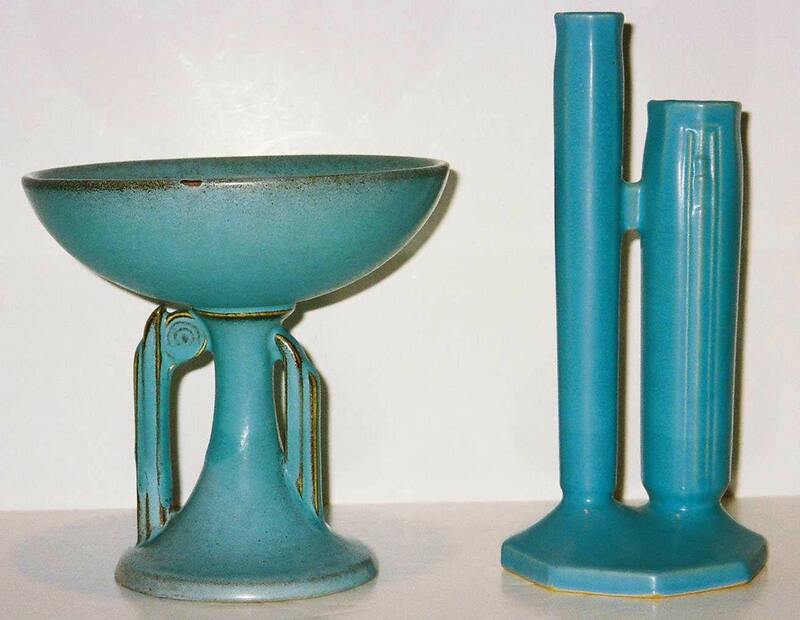 Grueby visited the Columbian Exposition of 1893 in Chicago, where he reportedly saw French artware with matte glazes on simple, organic forms. 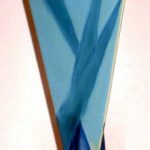 Returning to his native Boston, Grueby developed better glazes and applied them to simple forms, sometimes carving and applying stylized leaves and flowers on the surface. 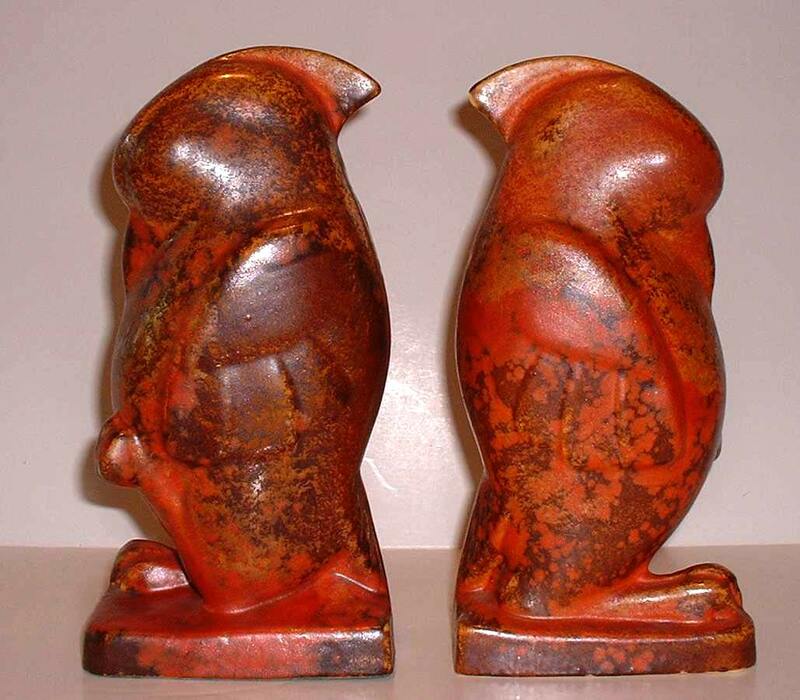 The pottery won gold medals at international expositions in Paris and St. Petersburg, Russia in 1900 and 1901. 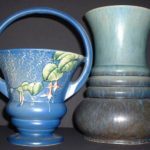 Grueby’s most popular glaze was a rich cucumber green that was later imitated by the Zanesville potteries as well as other firms in New England. Grueby sold his first ware in 1897, about the time that Gustav Stickly introduced his Craftsman furniture at United Crafts in Eastwood, New York. The matte green complimented the Stickley’s quarter sawn oak furniture and Craftsman homes so well that he included the ware with his furniture at trade shows and in advertisements. 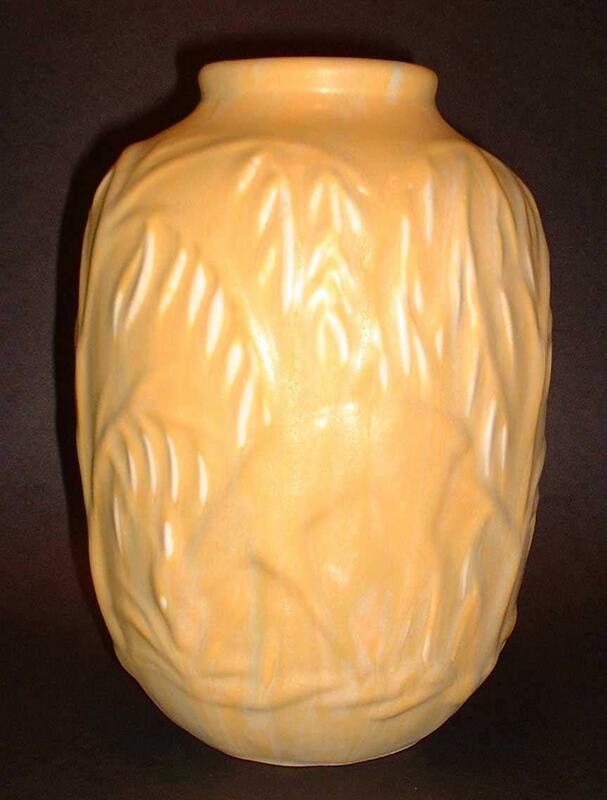 Another pottery making fine American Arts and Craft ware was the Fulper Pottery of Flemington, New Jersey, makers of salt glaze vessels, tile and pipe. 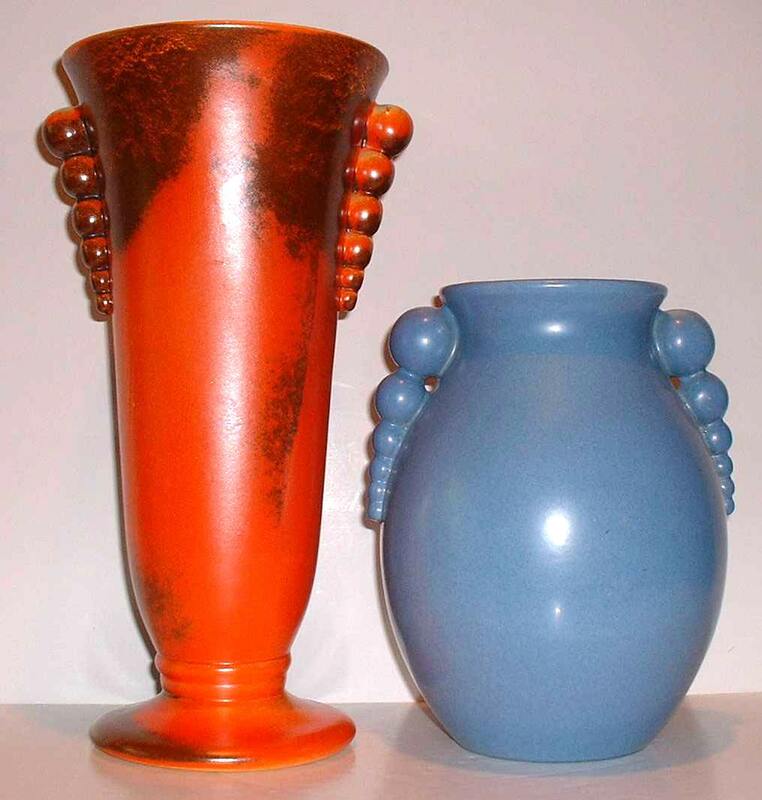 About 1909, a German potter, J. Martin Stangl, was hired to develop an Art Pottery line. 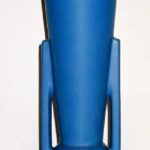 The company’s first artware, the Vasecraft Line, was unique for its heavy, Germanic or Gothic shapes, somber mattes, and semi-gloss flambé drip. 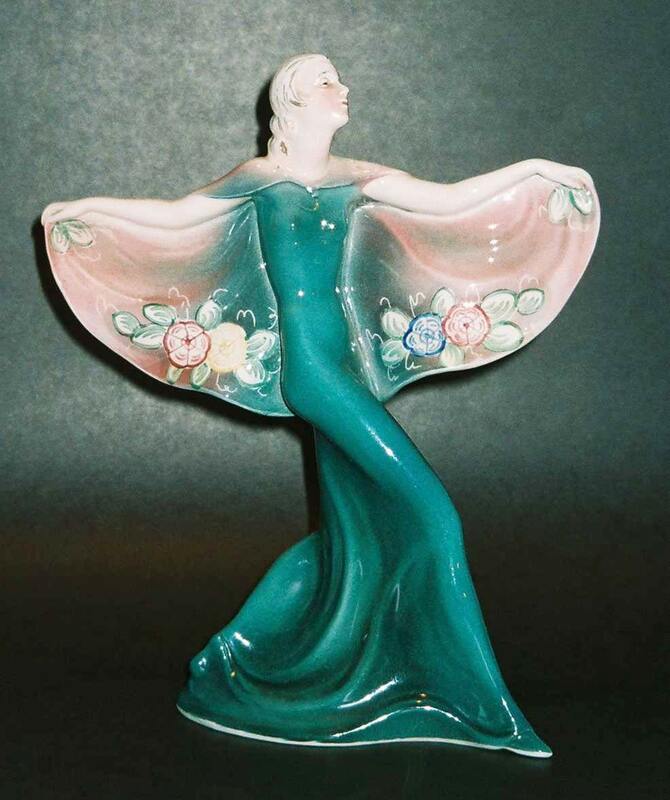 Teco was largely produced in a silvery green crystalline glaze, although other colors were made, particularly after 1910 when the popularity of matte green was declining. The glory of Teco, however, is its forms. Founder William Day Gates was associated with the Chicago Architectural Club, and many of the younger members, who built in the Prairie School style, designed shapes for him. 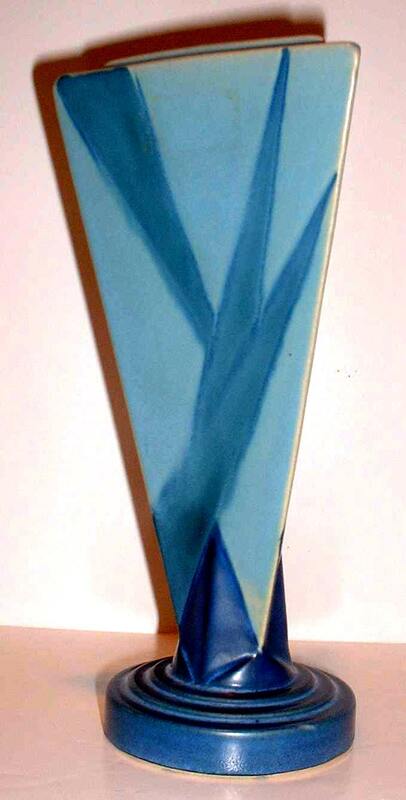 Teco’s “architectural” forms were unmatched by other potteries before or since. 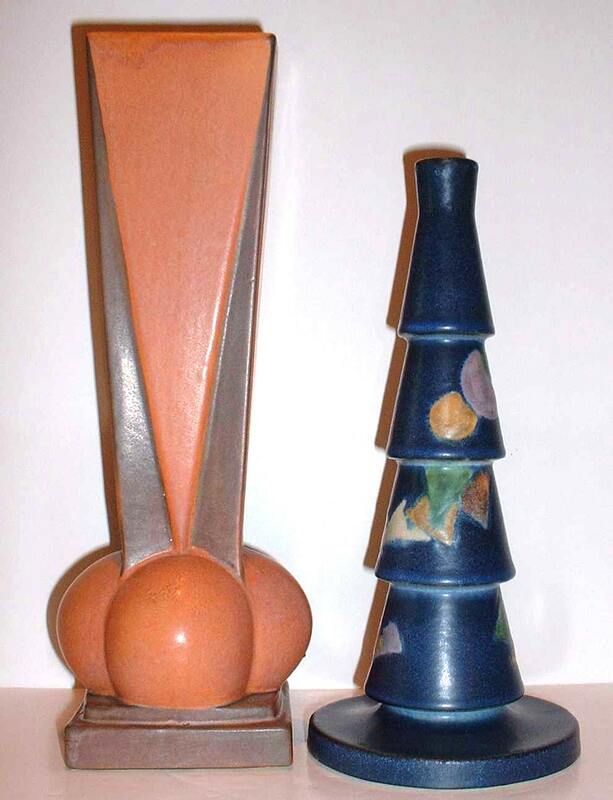 Gates also employed Fritz Albert and Fernand Moreau to design Teco pottery and architectural faience. 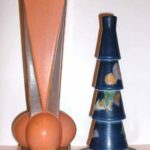 From Germany and France, respectively, these two sculptors created many outstanding organic Teco forms in the Art Nouveau style. 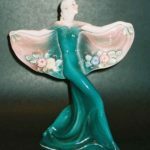 The Arts and Crafts style declined in popularity in America in the 1920s as Art Deco and Modernism took hold, but beginning in the 1960s, a few collectors re-discovered the style. Its popularity has grown steadily and young collectors and homeowners have joined an older generation in scouring flea markets and garage sales for original Stickley and Limbert furniture, architectural fixtures, Roycroft and Dirk Van Erp metal work, lighting, American and Japanese woodblock prints, and pottery. 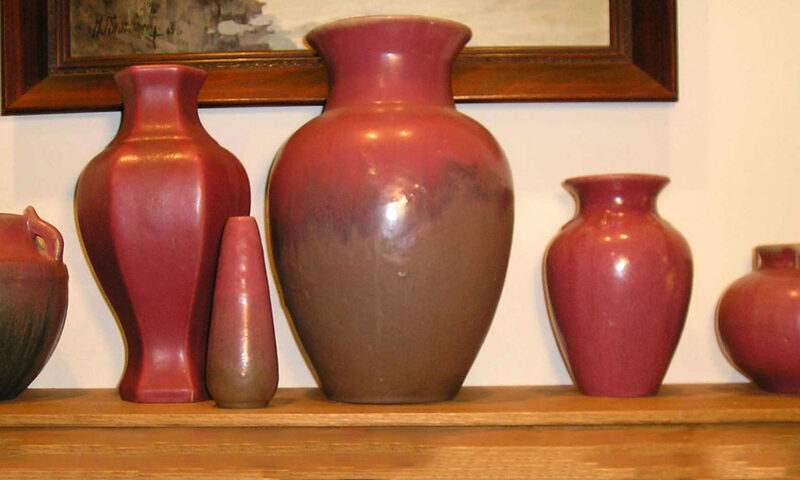 Below is just a small sample of the pottery that was displayed at the show.